Heavy Rain/Flooding September 8-10 Associated with Tropical Storm Etau – Weathernews Inc. 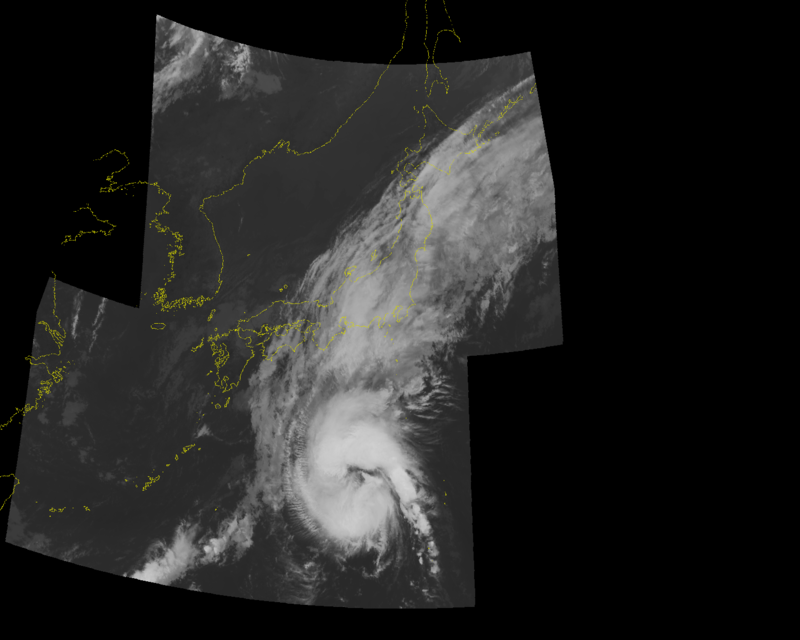 Tropical Storm Etau made landfall over the Chita Peninsula in Aichi just after 10:00 AM on September 9th. Record cumulative precipitation of over 200mm were recorded at Hamamatsu in Shizuoka and Toba in Mie. In the three days from September 9-10, record rainfalls were also measured in the Kanto region with cumulative rainfalls of over 600mm in Tochigi, and 300mm in parts of Saitama, Tokyo and Chiba. These rains caused river levels to rise and overflow. 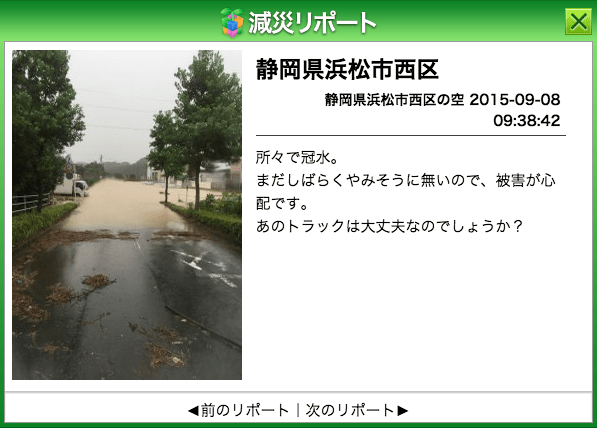 The Kinugawa River breached the breakwater in Joso-city Ibaraki, causing major flooding. Among the widespread effects of the rain were the inundation of houses, landslides, closure of highways and stoppage of train services. The reason of the heavy rainfall in the Kanto region was that after the tropical storm transitioned into an extratropical system its movement slowed, which caused convergence of the warm, moist southerly air flowing into the low and the easterly winds coming from Typhoon Kilo to the east. This allowed continual development of convective clouds to the south of Kanto which then continued to move inland. In order to assist in reducing secondary effects in the afflicted areas, Weathernews has released a special site within our Weathwenews Touch smartphone application. Due to the landfall of Tropical Storm Etau, the areas of Mie and Shizuoka in the direct path of the storm received three day (September 8-10) accumulation of over 300mm of rain. 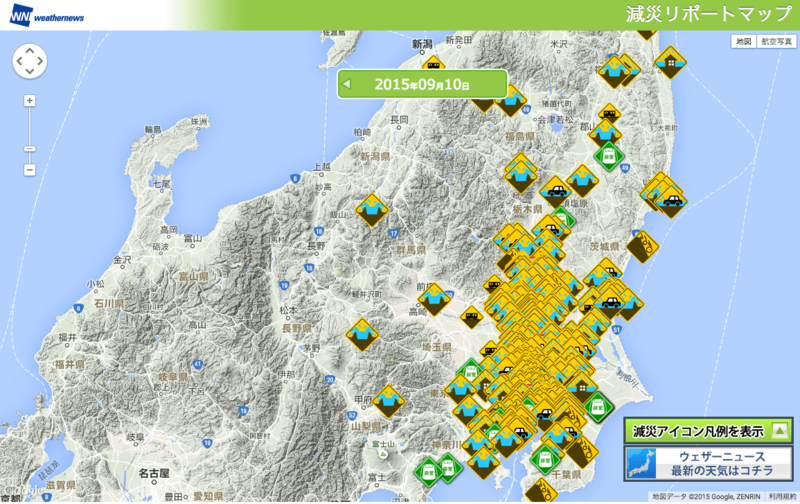 In Kanto and especially Tochigi, over 600mm was recorded, in spite of the distance from the storm itself. Figure 1, compiled from JMA AMeDAS observations and radar analysis, shows the three day (September 8-10) cumulative rainfall. The red areas show the greatest amounts, and we can see that Tochigi received much more rain than Mie or Shizuoka. 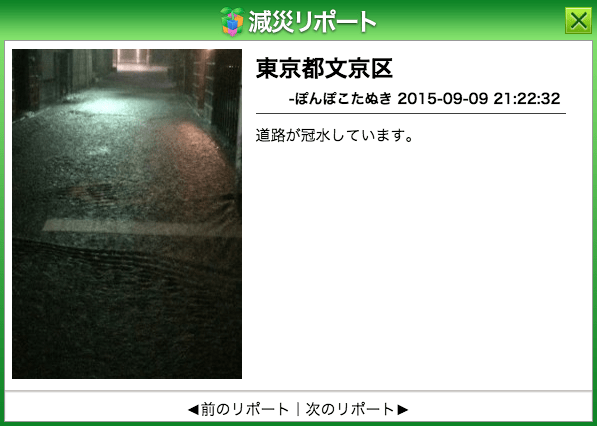 Many observational stations in Tochigi showed record rainfall on September 9th. Table 1 shows record rainfall observations, and Imaichi in Tochigi recorded a total accumulation of 668mm. 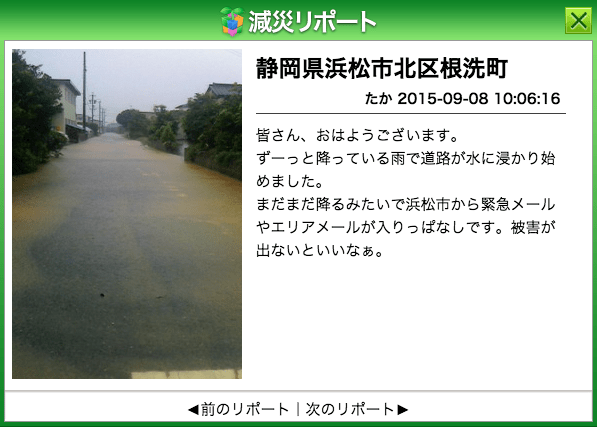 Rain continued to fall in Tochigi for several days. In addition, heavy rains were also recorded at Koshigaya (Saitama), Ote-machi (Tokyo), Sagamiko (Kanagawa), as well as Toba (Mie) close to the storm, and Hamamatsu (Shizuoka) which was affected by a frontal zone a day before the storm arrived. Weathernews received a total 70,200 reports regarding sky and rain conditions from before the approach of Tropical Storm Etau. This includes 720 damage reports received from September 8-10. 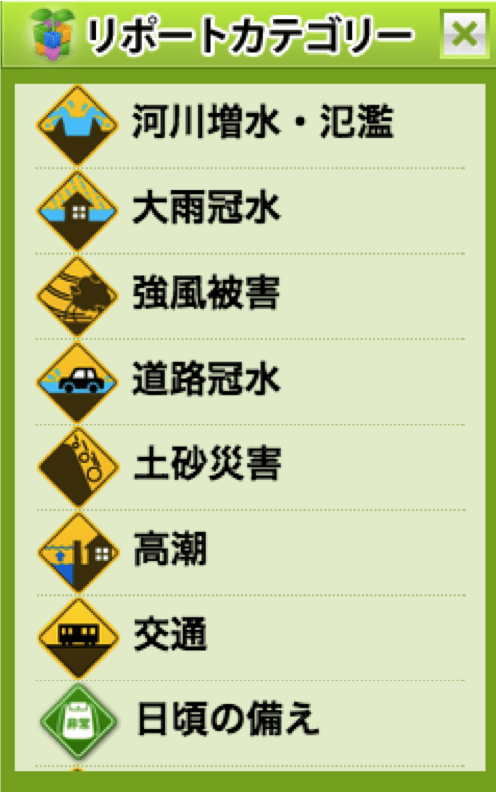 Many of these included road inundation and other reports from Kii Peninsula and Tokai to Kanto on September 8-9 (Figure 2). 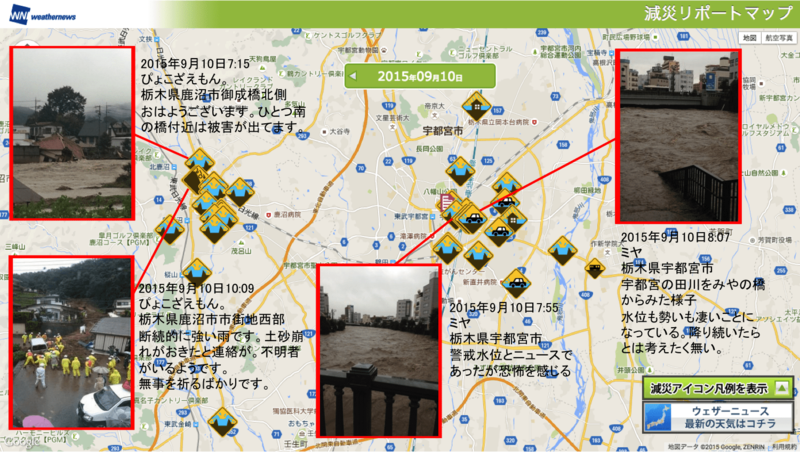 On September 9-10 many river flood reports were received mainly from Kanto. 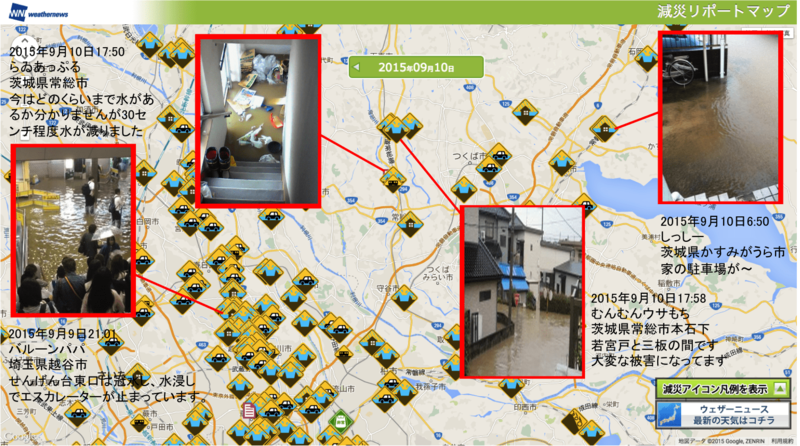 Widespread flood reports from Tochigi were received from the field especially on September 9-10. The breakwater at Joso in Ibaraki, near downstream Kinugawa River, was breached leading to major flooding. Damage reports can be sent via the eathernews Touch smartphone application to the WNI orecast center. WNI believes that the information of hen, where and why damage occurred can be used to lessen he effects of secondary damages through the spirit of elf-help and mutual aid. Tropical Storm Etau formed on September 7th at 0300JST in the western Pacific south of Japan near 21.5N/139.0E and tracked northward along the periphery of a high pressure system to the east of the storm (Figure 3). 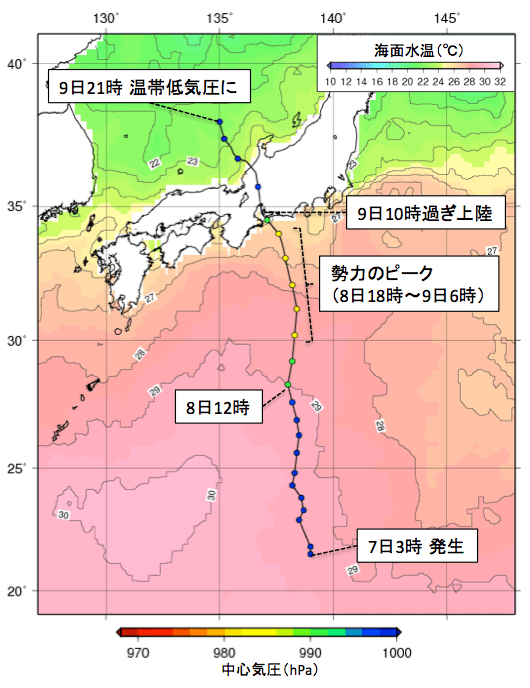 On September 8th the storm tracked across a warm Sea Surface Temperature (SST) area of 28～29℃. The water vapor gained from this area of warm waters fuel deepening of the storm. The storm peaked at 985hPa with winds near the center of 25m/s south of the Tokai region of Japan. The storm then moved NNW then NW-ward, making landfall just after September 9th at 1000JST over the Chita Peninsula of Aichi Prefecture. The storm then tracked over Gifu, Fukui and Ishikawa before moving over the Sea of Japan by September 9th 2100JST and becoming an extratropical cyclone. 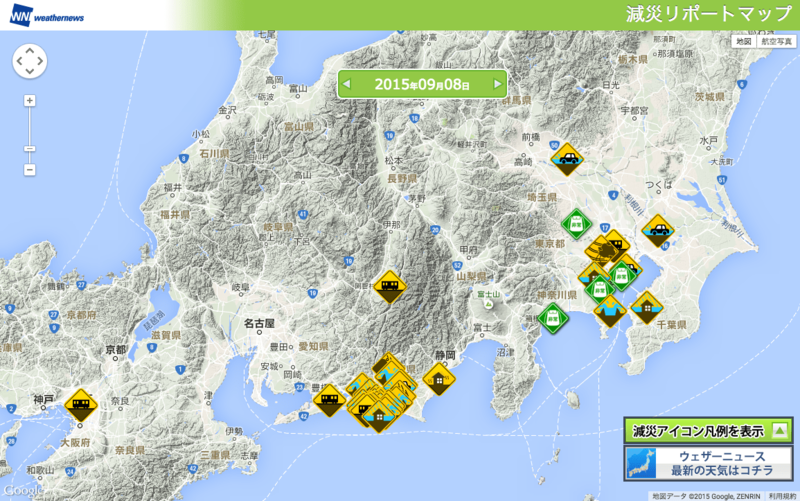 Tropical Storm Etau became the fourth storm of 2015 to make landfall in Japan. This was the first time in 11 years (2004) that there were four land-falling tropical cyclones in Japan. A line of cumulonimbus clouds formed over the Kanto region and remained stationary from around September 9th 1500JST to around the 10th at 1200JST, bringing a long period of heavy rains over the same area. The reason for this was the convergence of warm moist southerly winds being pulled into the quasi-stationary extratropical remnants of Etau in the Sea of Japan with easterly winds from Typhoon Kilo far to the east of the region. By September 9th 1100JTS, rain bands on the eastern side of Tropical Storm Etau moved over Kanagawa, and by 1500JST moved over eastern Tokyo, western China, eastern Saitama, parts of Ibaraki and Tochigi (Figure 4). The surface analysis chart from September 9th 1500JST (Figure 5) shows warm moist air flow from the extratropical remnants of Etau, and easterly moist air flow from Typhoon Kilo converging over the Kanto area. These two flows converged and created strong rain storms over Kanto. Looking at the upper air water vapor convergence at about 750m or 925hPa (Figure 6), we can see the convergence situated in a north/south orientation over Kanto. This caused the rain clouds moving into Kanto from the south to develop even further. Furthermore, as Tropical Storm Etau moved into the Sea of Japan and began its transition into an extratropical cyclone by PM of the 9th, it began to slow down, allowing the pressure pattern to remain until the 10th. Throughout that time, the environment was favorable for continued development of heavy rain storms over the Kanto region. The slow movement of the extratropical remnants of Etau allowed the pressure pattern to remain unchanged for a significant period of time is believed to be the main cause of the record rainfall. 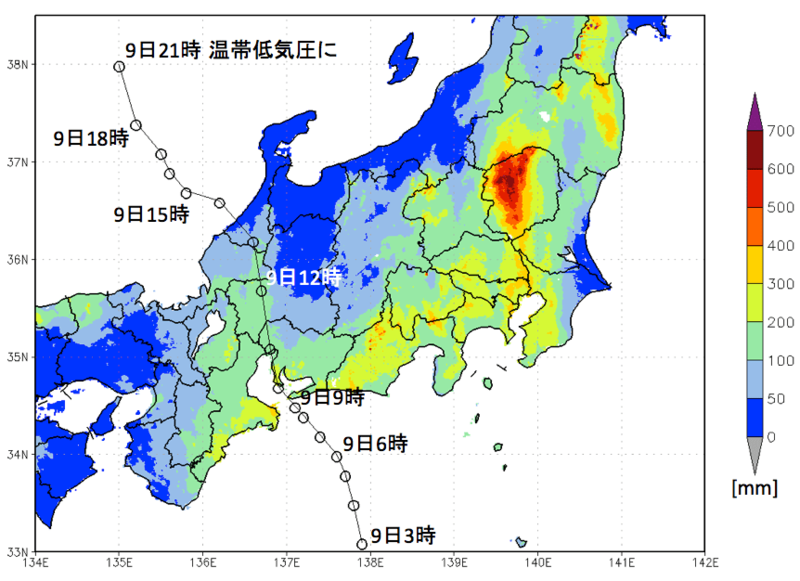 Daily accumulated rainfall as analyzed by Weathernews shows localized areas of over 200mm of rain on September 9th over the northern part of Shima Peninsula (Figure 7). The observation station at Toba recorded 247mm in a day, the fourth largest on record, and a maximum hourly precipitation rate of 75.5mm which is a record for the station. An intense rain band near the center of the storm passed Toba on September 9th between 0600-1700JST. The radar echoes from September 9th 0500-1000JST (Figure 8) show that this was the strongest timing of rain in the area. Figure 8: JMA Radar Echo (mm/h) for September 9th, 0500-1000JST. The daily cumulative rainfall analysis by Weathernews shows that on September 8th, a day before the landfall of Tropical Storm Etau, western Shizuoka and southern Mie received over 150mm of rain on the coast and that Hamamatsu received over 200mm (Figure 9). The observation station in Hamamatsu recorded 238.5mm in 24 hours (Sep 7/2100JST to Sep 8/2100JST) which is a record for September. The reason for the heavy rain over Hamamatsu was a stationary front to the north of Tropical Storm Etau that was stimulated by the approaching cyclone. Satellite images from September 8th 0900JST show the clouds associated with the frontal zone (Figure 10). 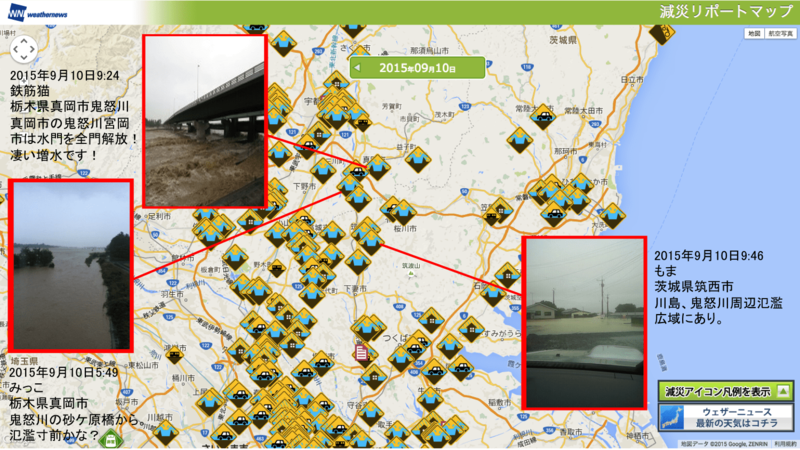 Radar imagery shows the strongest rain echoes stationary over Hamamatsu for several hours (Figure 11). 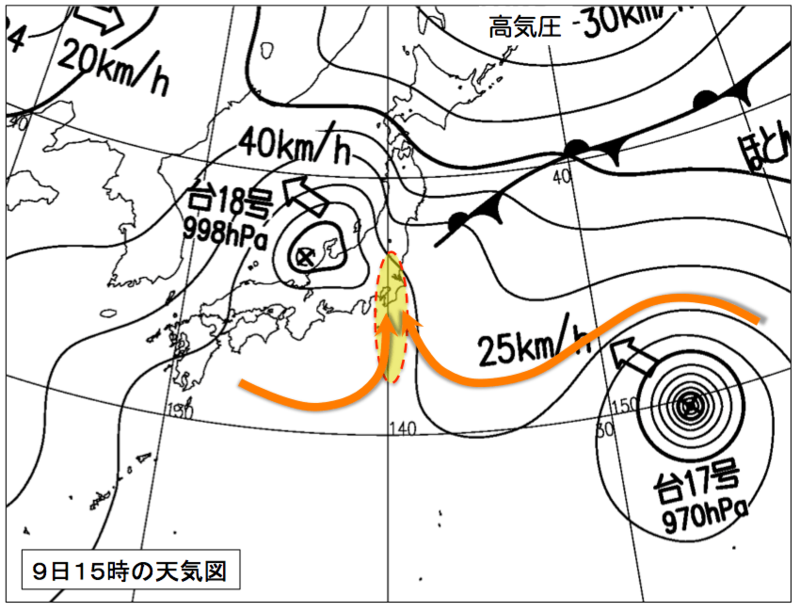 Looking at the analysis of the upper level (500m) wind direction and speed and associated water vapor convergence, we can see that there was abundant moisture in the atmosphere above the sea south of Hamamatsu (Figure 12). 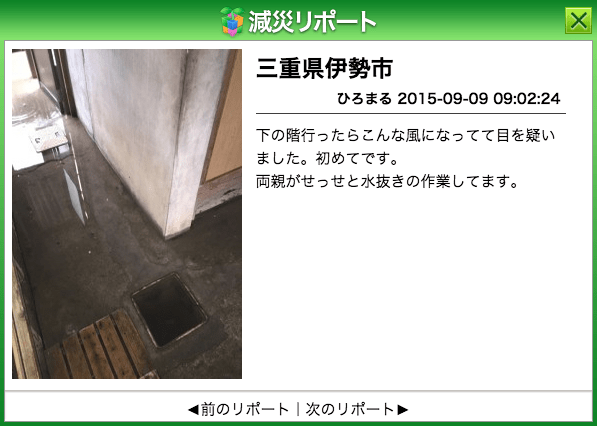 This is believed to be the main cause of the strong rainfall observed at Hamamatsu. Figure 12: Sep. 8th 0900JST500m (925hPa) winds and water vapor convergence (g/[kg*s]) analysis. 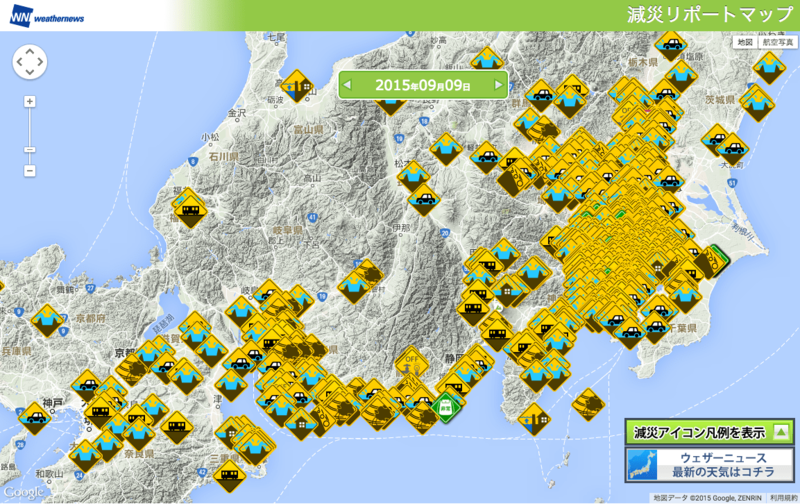 Weathernews continues to utilize the damage reports sent from our 8.5 million supporters across Japan, in order to quickly determine the extent of damage from natural disasters, and share the information with our Supporters in order to assist in minimizing damage across the affected areas.